Browse our range of professional end to end post production services, delivered to industry and cinematic standards. NK Films founder; Nick Kyriakides is available for bookings on-site and remotely, with 10+ years of industry standard experience in end to end post production delivery, you’re in safe hands. 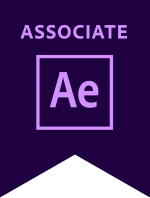 Certifications – Certified Adobe After Effects Expert (ACE), Certified Adobe Premiere Pro Expert (ACE), Apple trainer in Final Cut X, Final Cut Pro 7, Mac OS, iOS, iLife & iWork. Editing – Broadcast and cinema standard commercials, brand films, social content, fashion, internal company films, corporate videos, music videos, features, documentary’s and short films. Visual FX – Keying, animation, rotoscoping, lens flares, realistic and abstract particles, motion tracking and film stabilisation. Motion Graphics – Animated graphics, illustrations and kinetic typography, 2D & 3D animated titles. Compositing - background replacements, compositing stock footage, matte paintings, crowds, particles, animated plates and live action. Retouch - Skin clean up, set removal, object removal, film repair, logo removal, crew/content removal, tattoo/branding removal. Grading – Colour correction, colour matching, film repair, LUT creation and colour grading to broadcast and cinema standard. Need more firepower for your arsenal? At NK Films we have talented artists on hand to bring your project to life. Partnering with the NK team to deliver your project within any deadline. Retouch and compositing has become a large part of our post production work, to remove, add and perfect shots, that couldn't be resolved in production or are more flexible and cost effective to solve in post. I have used Nick on a couple of occasions for editing in FCP X and graphics work in After Effects, and I would happily recommend Nick. He is creative, hardworking and technically competent. Nick is a talented and creative entrepreneur who puts in 110% into everything he does. He produces high-quality work each time and is a great person to be around. I highly recommend him. Nick has a great work ethic and is my first choice when working for clients such as F1 or Toyota. I have no hesitation with working with Nick again and again. Nick’s not just good at what he does, he’s a great person. He’s loyal, trustworthy and cares about his clients. I wouldn’t hesitate recommending him to anyone. Nick is a highly skilled, artful editor and visual artist. His skills have made it the first place to go for anyone wanting unique, creative and sophisticated content creation for their project. We've worked with Nick for a while and have always found him to be an esteemed professional with an incredible work ethic. We really enjoy working with Nick and his detailed approach to every project. Nick's contribution to each and every project really drove their levels of success. Nick also has great determination to get the job done whilst also delivering high-quality work. Nick is a highly skilled editor and it's always a pleasure working with him. Nick is a great Editor and I would recommend him for all Digital, Online + Broadcast work.